Alumnus Carl Krehbiel of Moundridge, Kan., donated $4 million to KU Endowment to fund a men’s scholarship hall in honor of his parents, alumni Kathyrn Krehbiel and Floyd H. Krehbiel. Carl and Floyd Krehbiel lived in scholarship halls as students. 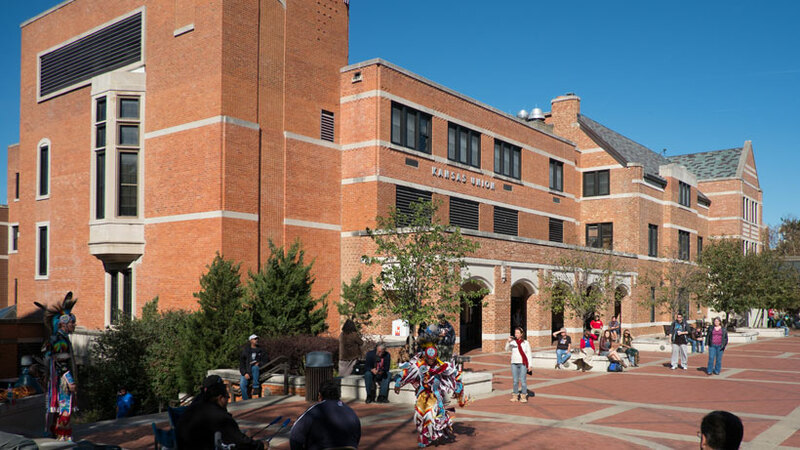 In April 1998 KU Endowment moved to this $5 million, 52,000-square-foot building in the West District designed by Nearing Staats Prelogar Jones of Prairie Village. It is at least the third home of the Endowment, established in 1891 as the first foundation of its kind at a U.S. public university. For many years its headquarters were in several buildings on the main campus, but in 1976 it moved to Irvin Youngberg Hall, which is named for the Endowment's longtime executive secretary. The 5,000-square-foot building, dedicated Oct. 27, 1990, was designed by Hicks-Messick & Associates of Lawrence. It is named for Fred Kurata, a professor of chemical and petroleum engineering 1947-78 who held two distinguished professorships and was a leader in thermodynamics research. When it opened, it housed labs and mechanical and conference areas for thermodynamics research. Bequeathed to KU by the estate of Dr. Mervin T. Sudler (1874-1956), Lawrence physician, professor of anatomy, and dean of the Medical School 1921-24, this limestone house was built for him in 1927 by the Kansas City architectural firm of Buckley & van Brunt.